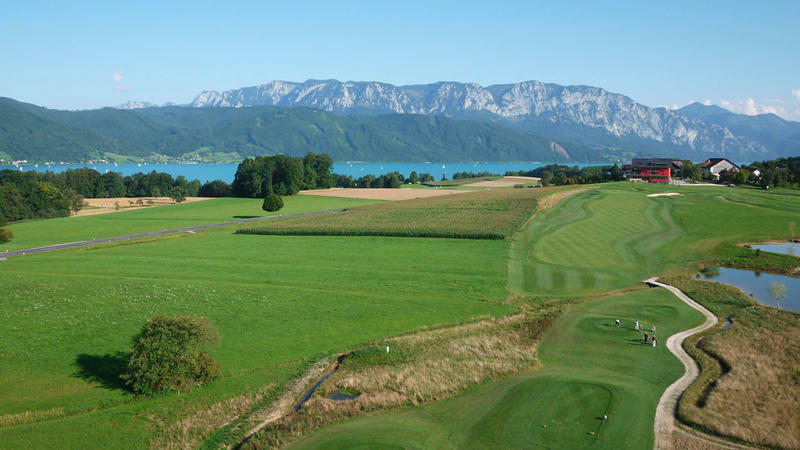 A holiday in Attersee am Attersee – nothing here is standard, not even the gauge of the Attergau regional railway. Both active tourists and those interested in culture will find an exceptional environment for a wonderful holiday on Lake Attersee. Outdoors, both in/on the water and ashore, there are countless possibilities to make unforgettable memories to take home. Feel like a short cruise on the lake after golfing? Not a problem in Attersee am Attersee! 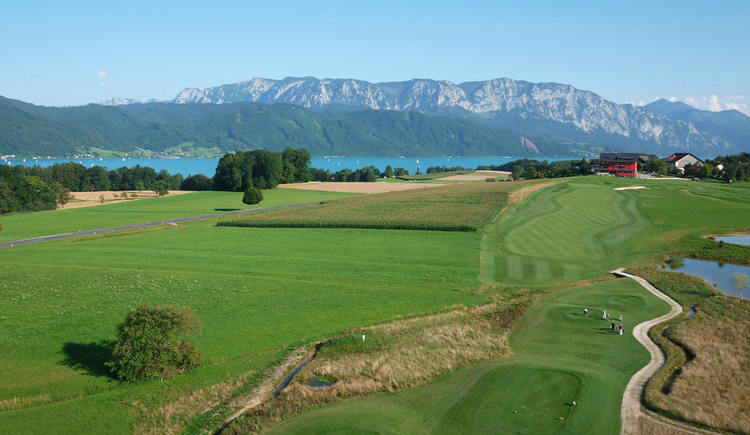 Golfers will love the Golf Club in Attersee am Attersee. 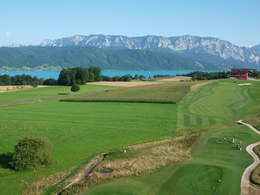 Against the backdrop of such a beautiful landscape, working on your handicap will be more enjoyable than ever. And if real golf is not your cup of tea, why not give minigolf a try at the minigolf facilities right next to the pier. In and around the water, excitement and refreshment is waiting for you: several public beaches, the Erlebnisbad lido with the toboggan ending right in the lake, waterskiing or diving. 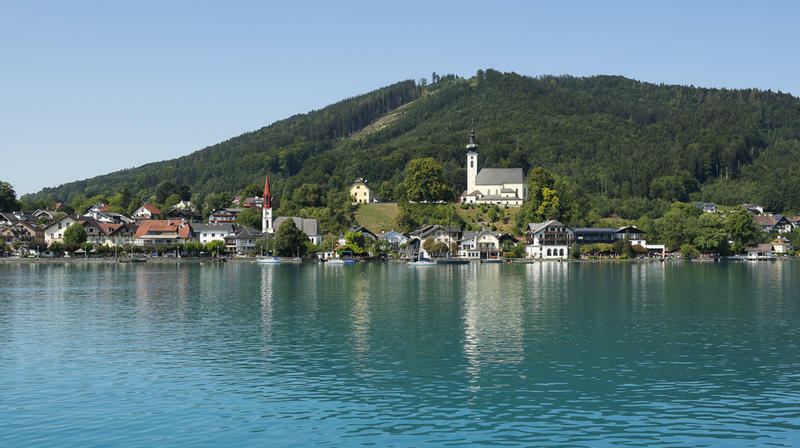 Sailing has an especially long tradition in Attersee am Attersee. After all, Austria’s oldest yacht club was founded here. 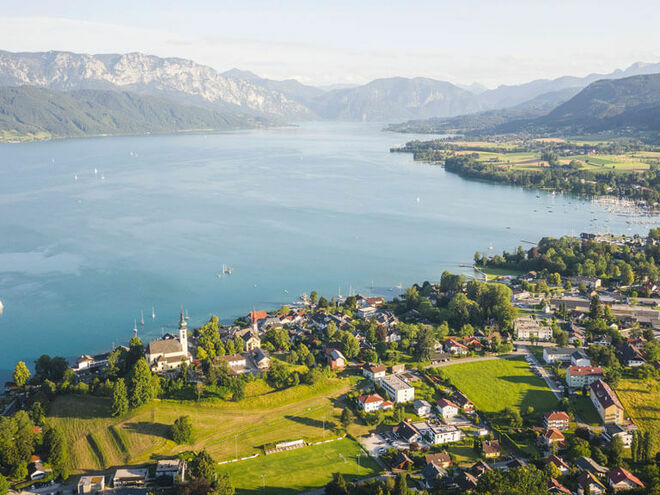 In Attersee am Attersee you can take sailing lessons, rent a sailing boat for your own sailing experience or rent the boat together with an experienced skipper and set out on the lake. If you enjoy hiking, there is a lot to discover around our village. Hikes up the Buchberg mountain are especially rewarding and offer fantastic views across Lake Attersee. If you are into history and culture, we have a range of attractions for you. At a resting place on the Römerradweg (a cycling path dedicated to the Roman heritage in Upper Austria) taking you from Passau to Lake Attersee and all the way to Enns, you will learn more about Neptune, the water god. The pile dwelling pavilion situated at the northern end of the lakeshore promenade will answer your questions about the UNESCO World Heritage Sites on Lake Attersee. The central topic in Attersee am Attersee: Why did the prehistoric settlers build their pile dwellings directly at the lakeshore and what was their way of life? The bee keeping and information centre Bienenhof Attersee is also well worth a visit, not just for busy bees. And a journey on the Attersee regional railway is a delightful excursion for the whole family. Honey from the Bienenhof will enrich the breakfast tables at many of our accommodation facilities. B&Bs, farm holidays, holiday apartments or a hotel – after a good night’s sleep, look forward to a wonderful breakfast! Also during the winter season Attersee am Attersee has quite a bit to offer. What about a walk through the winter landscape up to the Parish and Pilgrimage Church Maria Attersee, sitting high above the village and from which a beautiful view on the quiet Lake Attersee is guaranteed. Skiers and snowboarders can practice their favorite sports at the Skilift Kronberg . Moreover, the Bienenhof Attersee is worth a visit. Get interesting information on the busy bees and drop in for some coffee or visit the farm shop. For detailed directions please use the route planner!